Doctor’s Catherine A. White graduation year of the University of Texas Medical School at Houston was 1993. She performed her residency training at Baylor College of Medicine, specializing in pediatric pathology and in anatomic and clinical pathology. She received training in cytopathology at Fletcher Allen Health Care, during her fellowship. 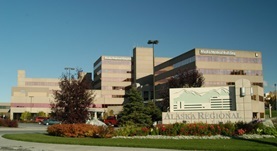 She is board certified in anatomic pathology, clinical pathology, and cytopathology. 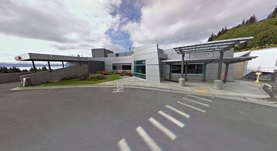 She is affiliated with Alaska Regional Hospital in Anchorage and South Peninsula Hospital in Homer, Alaska. Together with other doctors, she wrote 13 articles. In March 2003 she was co-writer (together with SD Brown and MG Bartlett) of a publication, called “Pharmacokinetics of intravenous acyclovir, zidovudine, and acyclovir-zidovudine in pregnant rats. Department of Pharmaceutical and Biomedical Sciences”. Dr. Catherine A. White has contributed to 3 publications. Plasma Protein Binding Limits the Blood Brain Barrier Permeation of the Pyrethroid Insecticide, Deltamethrin. Amaraneni, M.,Sharma, A.,Pang, J.,Muralidhara, S.,Cummings, B. S.,White, C. A.,Bruckner, J. V.,Zastre, J.; Toxicol. Lett.. 1900 Jan 01. Ontogeny of Plasma Proteins, Albumin and Binding of Diazepam, Cyclosporine and Deltamethrin. Sethi, P. K.,White, C. A.,Cummings, B. S.,Hines, R. N.,Muralidhara, S.,Bruckner, J. V.; Pediatr. Res.. 2015 Nov 17. Measurement of plasma protein and lipoprotein binding of pyrethroids. Sethi, P. K.,Muralidhara, S.,Bruckner, J. V.,White, C. A.; J Pharmacol Toxicol Methods. 2014 Jun 15.